Yes, it is possible with Homoeopathy. Even if you don’t believe its worthwhile to give a try to this fantastic science. Homoeopathy is the art of healing par excellence. Homoeopathy, derived from the Greek word homoeos means “similar” and pathos, meaning “suffering”. Homoeopathy is a scientific method of treatment which is based on the application of the law of similars. The father of Homoeopathy, Dr. Hahnemann, who himself was an allopathic postgraduate, was frustrated with the then prevalent mode of treatment and felt a strong need for regeneration in medicine. He discovered this fantastic science and since then thousands of ailing patients are benefited with this system. In the great majority of cases, the fundamental cause of disease is the predisposition of the individual to be sick. The imbalance, which is the disease state, is in fact only the expression of this predisposition to be sick. With the right homeopathic remedy, the organism re-balances itself globally so that the tendency to be sick is greatly decreased. The homeopathic medicine can get at the root of your state and balance it, which manifests in a healing on all levels. 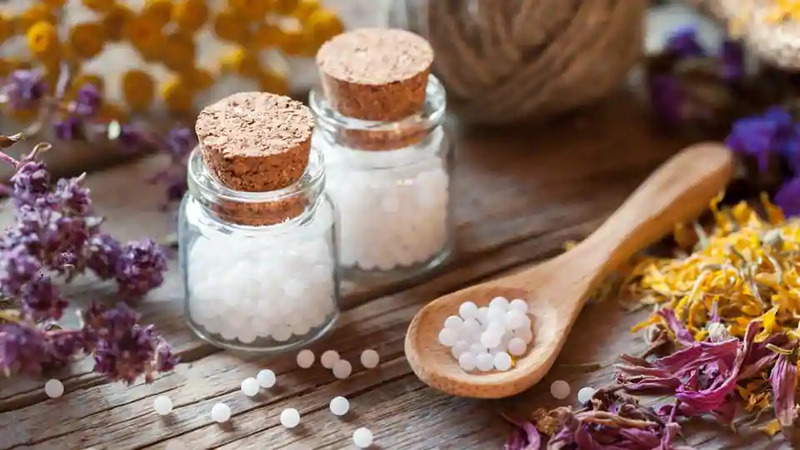 Homoeopathy is a medical therapy that uses natural animal, vegetable and mineral substances to support the innate regenerative healing powers of the human body. Homoeopathy recognizes the patient as a whole and considers both, the individual’s physical and psychological aspects as well as the hereditary predisposition, environmental stress and toxins, nutrition, lifestyle The right remedy triggers the healing response of our life force, our vital force within. It is this vital force within that heals the organism. The difference lies in their individual immunity and genetic predispositions. The stimulus is same but the reactions are different. Homoeopathy scores point over other systems as a homoeopathic physician takes a detailed history and gives every child a different homoeopathic medicine, which would take care of child’s genetic predisposition. Hence homoeopathic medicines will not only cure the child, but would also strengthen the immunity so that he does not fall sick again.